AiRTX.net: industrial vacuum systems, air knives, air nozzles, vortex tubes, air amplifiers, cabinet coolers, cold air guns. AiRTX.net AiRTX.net is the first European e-commerce dedicated to the sale of high quality compressed air tools for industrial applications. 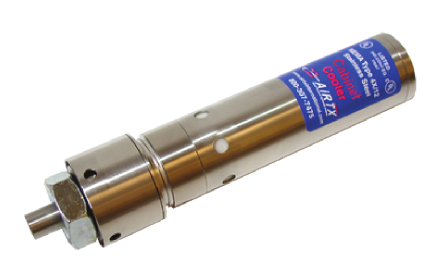 AiRTX Stainless Steel Vortex Tubes Instant cold or hot air – from -40°F to +230°F – from ordinary compressed air.